Last week, hundreds gathered in Columbus for the Ohio Chamber of Commerce’s 2016 Annual Meeting. Attendees heard from former Speaker of the House John Boehner as the key note speaker. Speaker Boehner also sat with our Chairman of the Board, Tom Zaino for a candid Q&A session on the state of the 2016 presidential race and his experiences running the U.S. House of Representatives during a turbulent period of time in our nation’s history. Following Speaker Boehner, Our President & CEO Andy Doehrel presented awards to two local chambers of commerce that have distinguished themselves in grassroots advocacy and communications over the past 12 months. The Ohio Chamber’s Chamber Action Alliance (CAA) awarded the Darke County Chamber of Commerce the 2015 Best Advocacy Campaign Award for its extraordinary efforts and commitment to an advocacy campaign centered on a single issue: drugs in the workplace. This is the third year in a row that the Darke County Chamber has been recognized for its outstanding efforts. 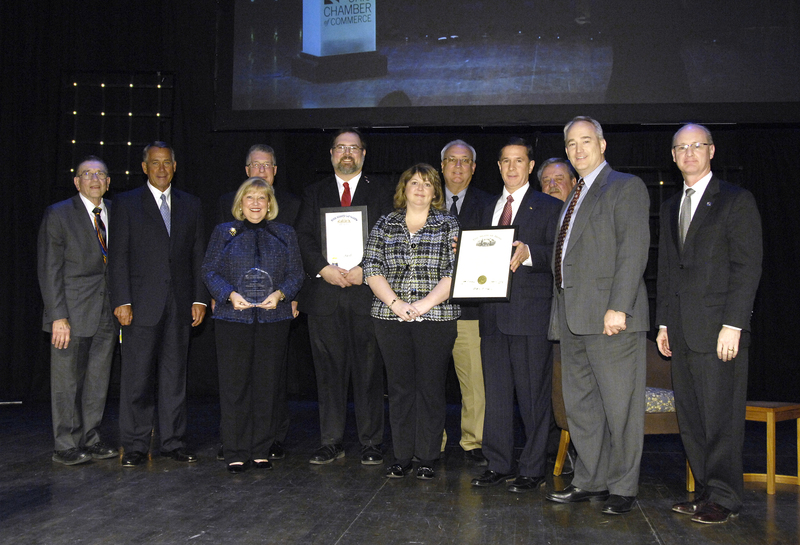 Speaker Boehner joined the Darke County Chamber on stage to recognize the chamber that served portions of his former congressional district. Senate President Faber, Sen. Bill Beagle, and Rep. Jim Buchy were also on hand to honor them with Senate and House Resolutions for their commitment to a healthy Darke County. 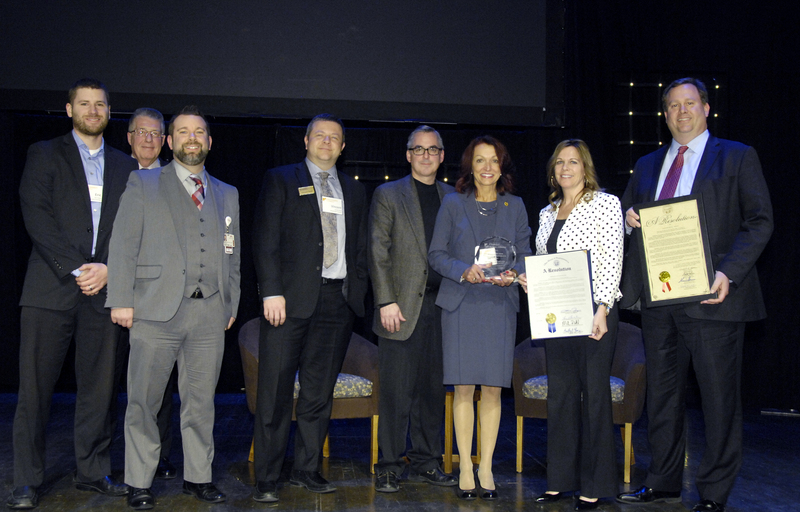 The CAA awarded the Westerville Area Chamber of Commerce the 2016 Leadership Grassroots Advocacy Award for its commitment to legislative advocacy and leadership in grassroots efforts. Sen. Kevin Bacon and Rep. Anne Gonzales were on hand to present commendations to the Westerville Chamber in recognition of their efforts.